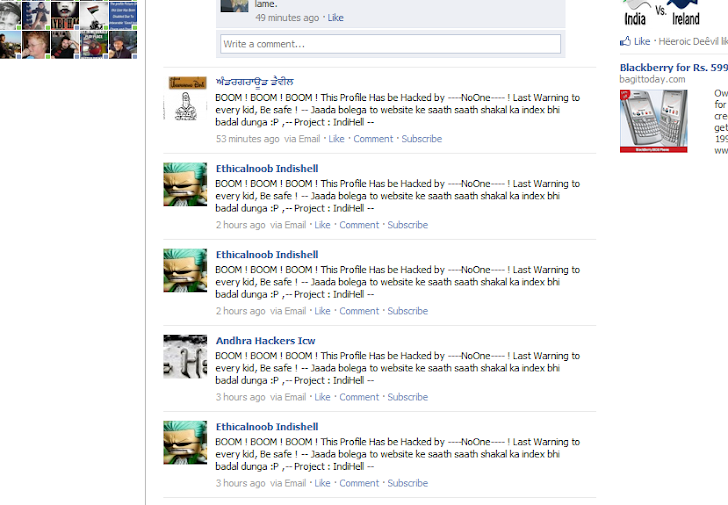 Facebook new Vulnerability, Lots of Accounts misused for spamming ! Facebook New Vulnerability, This time Facebook Groups are Vulnerable , One by one we getting more on more bugs in Facebook. Last days their was lots of bugs in Facebook page, because of that lots of big pages got hacked, Now 1000's of facebook profiles are misused to do spam on facebook groups. 1.) User’s email address (from their facebook profile). 2.) A group email address of which user is a part ( on groups’ homepage). Final Hack : After you have both these details send a spoofed mail from user to group email and bang it will be posted from user’s profile without any need of password. Notice : We have already submit this bug to facebook authorities, Hope they will fix it ,as soon as possible !